Let’s face it, the 80’s was a decadent decade of incredible cinema. 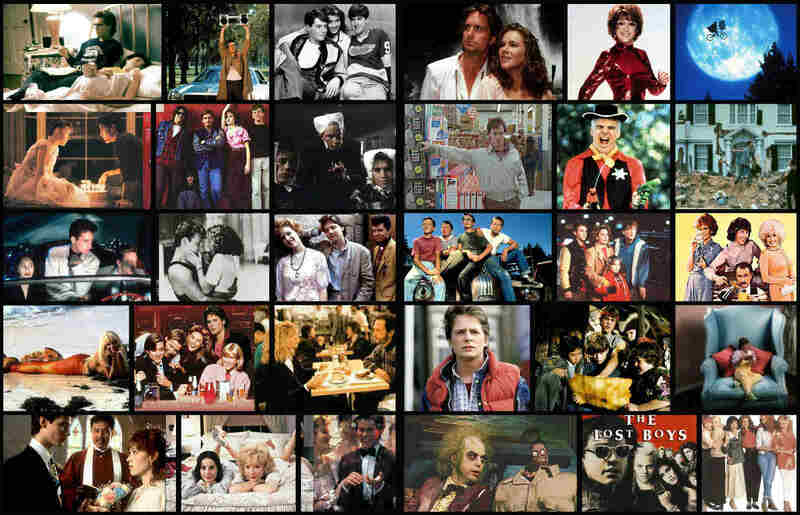 No matter which way you slice it, these 10 years produced a slew of memorable movies including: E.T., Stand By Me, The Breakfast Club, Fast Times at Ridgemont High, Raiders of the Lost Ark, Ghostbusters, Back To The Future, Die Hard, Blade Runner, Sixteen Candles, The Shining and the list goes on and on and on. 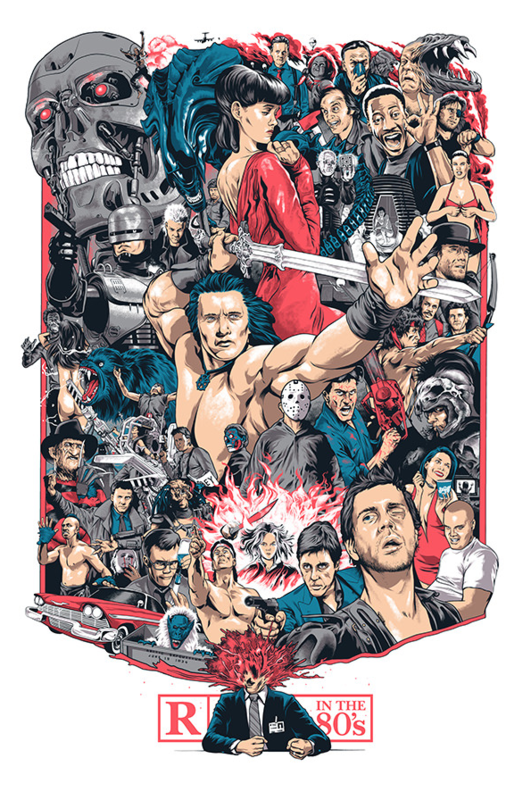 Fox Street Inc. has just released a limited edition poster that pays homage to some of these films and all their glory. Here is a look along with what they have to say about their homage. CLICK HERE to order yours copy and enjoy your trip down memory lane. This entry was posted in Movies, Posters and tagged 80's, Fox Street Inc, movies, poster, Rated R, tribute. Bookmark the permalink.